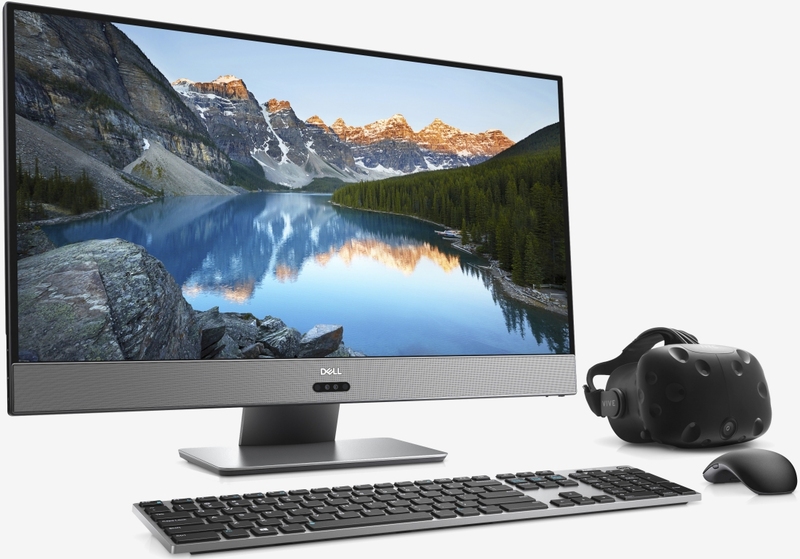 All-in-Ones (AIOs) have taken an exciting turn this week at Computex with the introduction of the Dell Inspiron 27 7000. Aside from being one of the first AIOs to feature AMD’s new Ryzen processor, the attractive PC is noteworthy in that it can be easily upgraded down the road – a rare (although not entirely unheard-of) trait among such systems. The entry-level configuration includes a quad-core Ryzen 5 1400 CPU and Radeon RX 560 graphics for around $1,000. For a bit more coin (roughly $1,300), you can bump up to an octa-core Ryzen 7 1700 processor and a Radeon RX 580 GPU with 8GB of video memory. Both configurations include a full-HD IPS display. Dell’s top-end configuration, yours for around $1,500, swaps out the 1080p display for a 4K HDR panel. While this may sound nice in theory, I’ve found that 27 inches is simply too small to run 4K natively (I’d recommend a minimum of 32 inches for native 4K). What’s more, that RX 580 is going to struggle to run at 4K with the eye candy enabled. Regardless of what configuration you spring for now, you’ll be able to upgrade the system at a later date with a new processor and additional / faster storage and RAM. The graphics card, however, doesn’t appear to be upgradable. The new Dell Inspiron 27 7000 is available from today via Dell’s website and at select retailers worldwide.